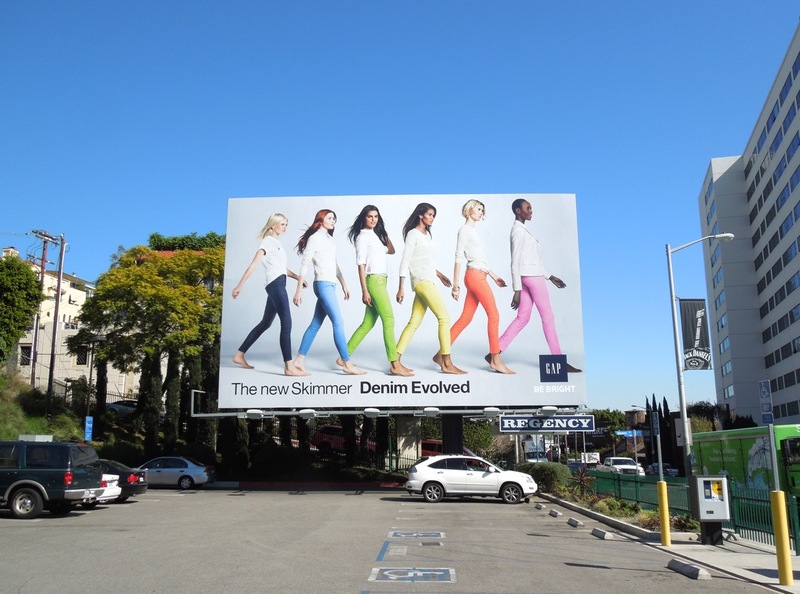 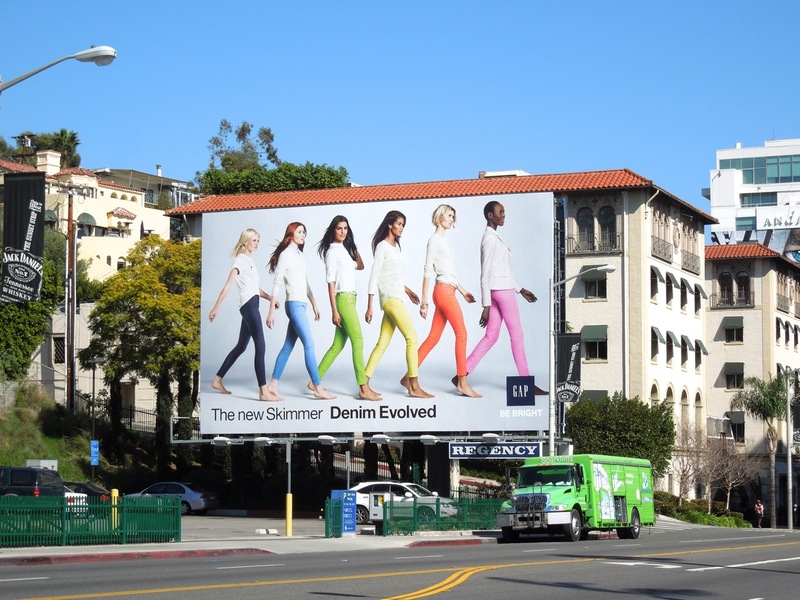 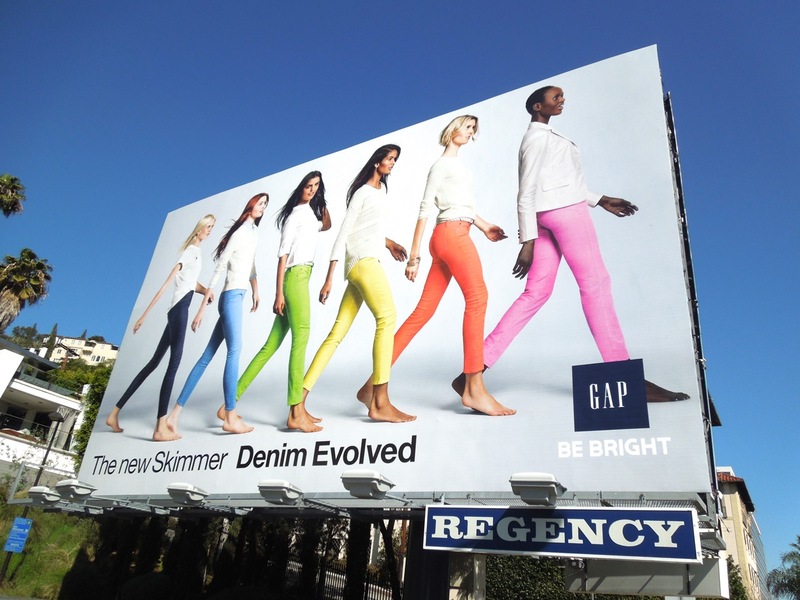 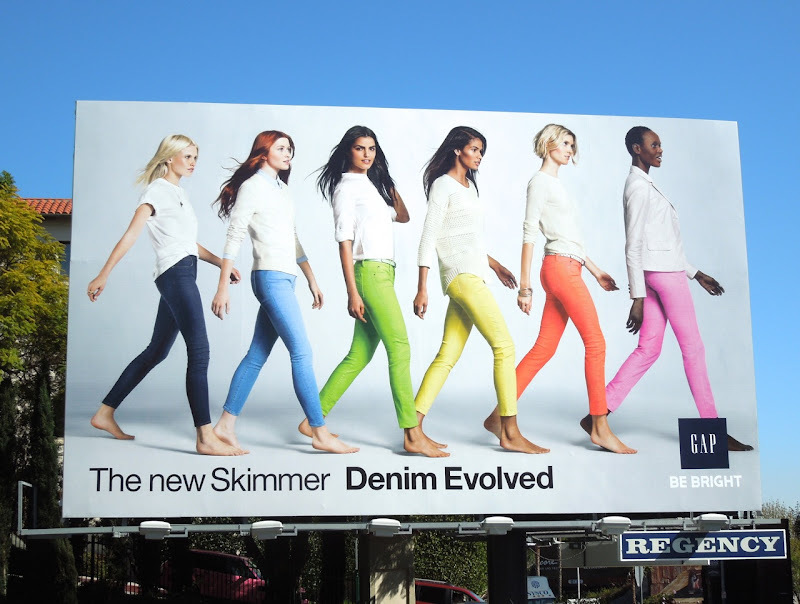 Daily Billboard loves this latest ad creative from Gap brightening up L.A.'s streets and sky. 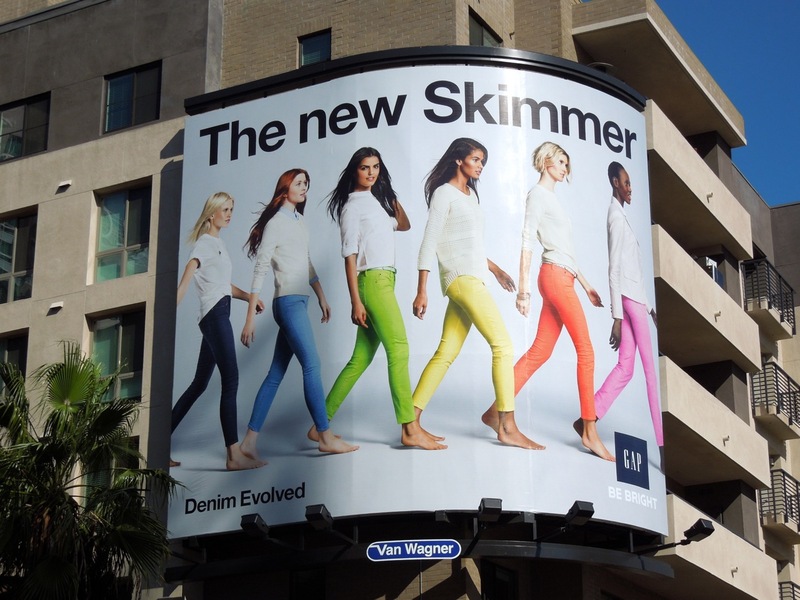 This clever and colourful homage to 'The March of Progress' illustration, which depicts human evolution, is certainly an attention grabber for the fashion brand's new skinny 1969 Skimmer jeans. 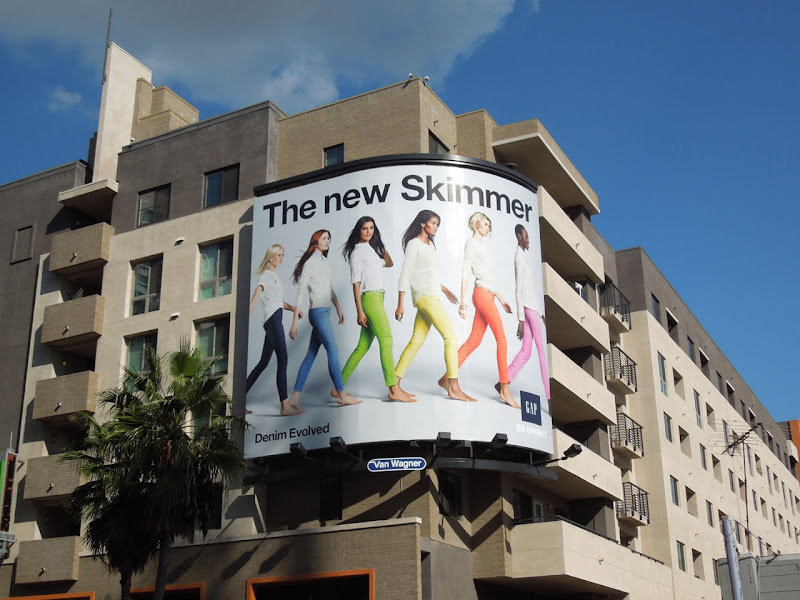 These fresh, fun billboards were spotted along Sunset Boulevard, Santa Monica Boulevard and at Hollywood & Highland on February 9, 2013. 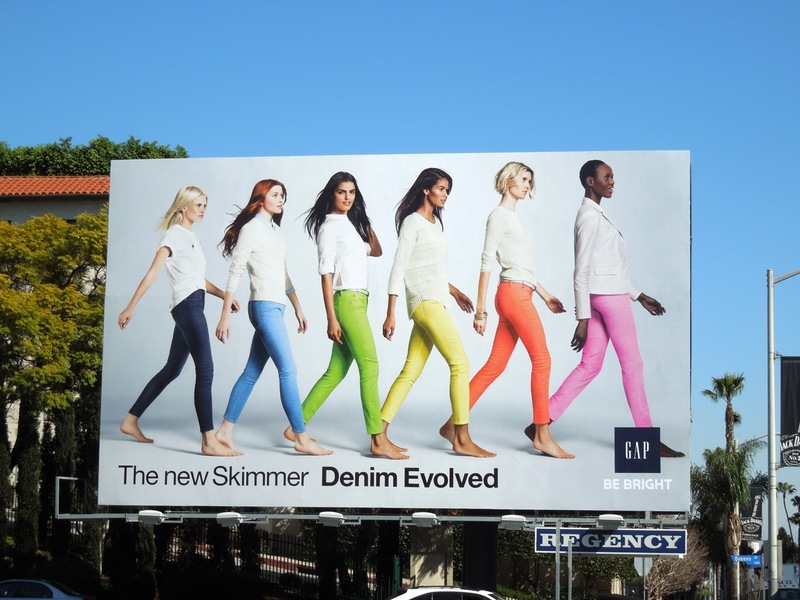 If you're a fan of the fashion brand be sure to check out all these other Gap billboards from previous seasons. 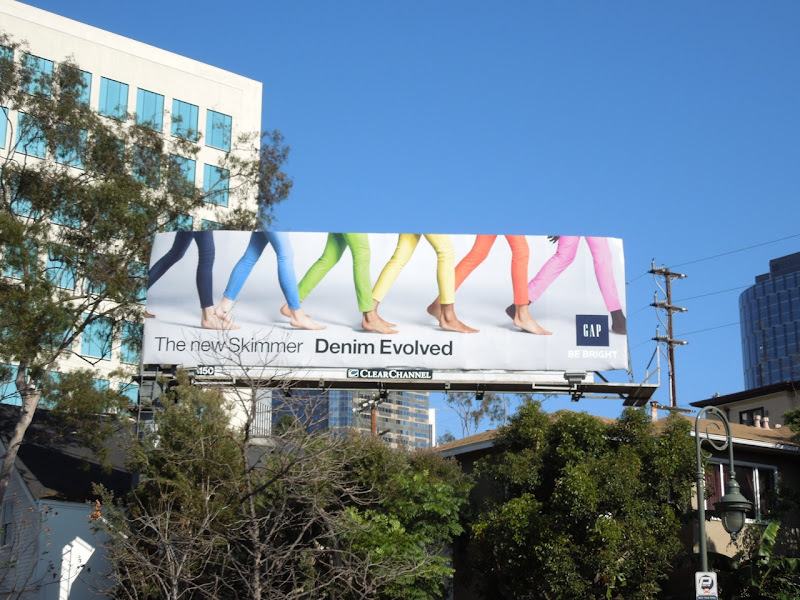 Ha!, the other way around.